Hi, I am Smitha Soman (Pen Name: Smitha Kamal). I am a freelance writer, traveller, foodie, editor, and lifestyle blogger. I live in Kochi, India with my husband Kamal. Assisting business enterprises, organizations and individuals build their brand through media and digital marketing strategies, that is what I do. When I am free, I love taking road trips, enjoying coffee on rainy days, reading good books while snuggling in my bed, and lots of daydreaming. I was brought up in the Middle East and I have always had an eye for fine luxury, quality, class, and culture since childhood. I remember waiting for every issue of the Weekend, then. This taste in class, as you can see, will be apparent in my passion for writing. 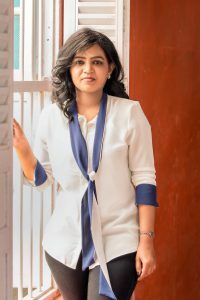 I am working as the Contributing Editor for Bold Outline Magazine and had previously worked for several lifestyle publications like Smart Mall, Ritz, Lulu Happiness, The Kerala Explorer, and a countless number of online magazines and blogs. I am also available to associate as an editorial consultant, branding, and marketing or simply to train folks the wide scope of the social media. And I am glad that you are with me on this journey. Life, Luxe, and Labels is a luxury lifestyle blog, the destination for lifestyle, fashion, luxury, travel, food, architecture, design, and culture of cities across the globe. The posts, features, and stories reflect class and elegance. The blog aims to inform the readers about living the sophisticated life. Life, Luxe, and Labels blends the incredibly written blogs with rich and resplendent photography. Unlike other blogs which feature a personal story, Life, Luxe, and Labels focuses more into conveying the brand message to the audience.